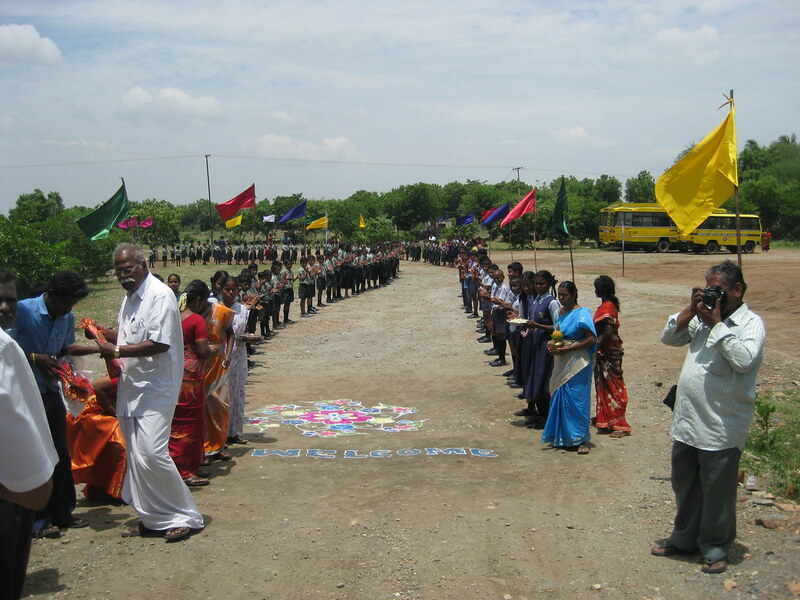 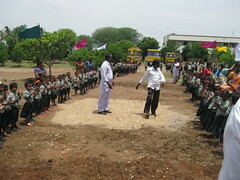 Rabindra Bharathi School is situated in Thatheiyankarpettai. 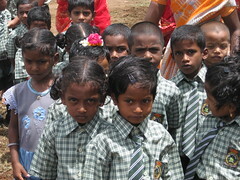 The main village is 45 kilometers away from the northwest direction where 400 children of poor landless agricultural laborer families live and these children primarily are in the age group of 3 years to 14 years. 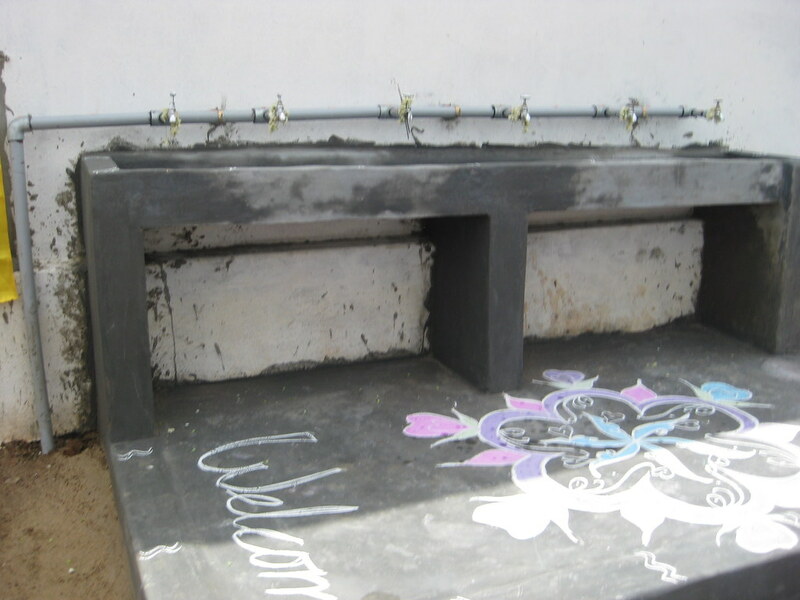 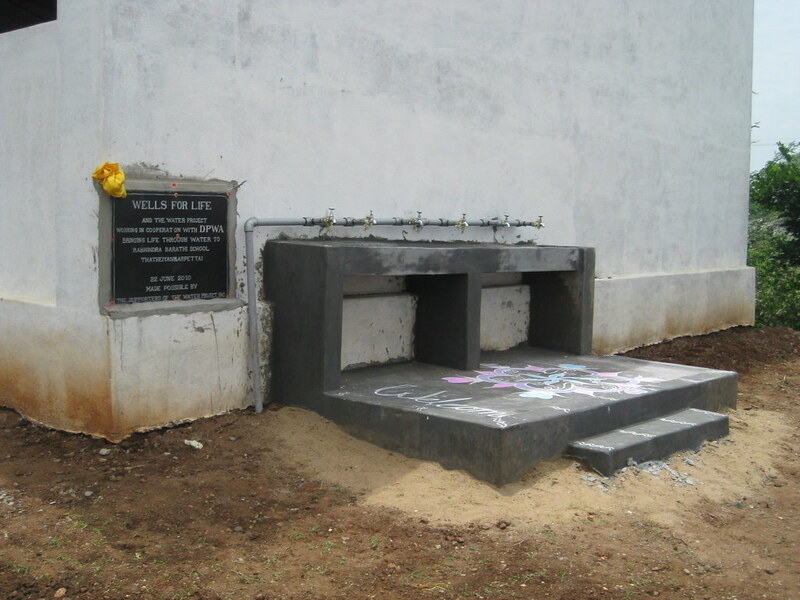 Although the school is having facilities such as constructed school building, class rooms, play ground etc, it has no drinking water source within the school premises for use by the children. 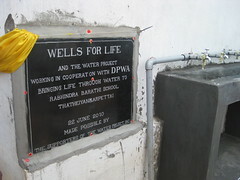 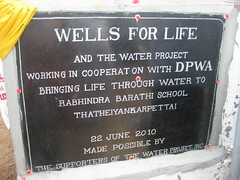 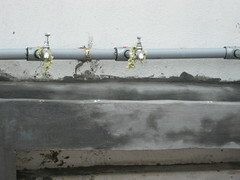 There is one public water tap near the school which is the only drinking water source for the children throughout the day. 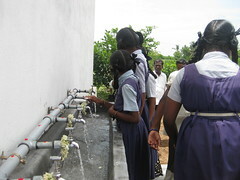 However water only is accessible in the early morning and so the school children could not get water from the tap as it is dry during the school hours. 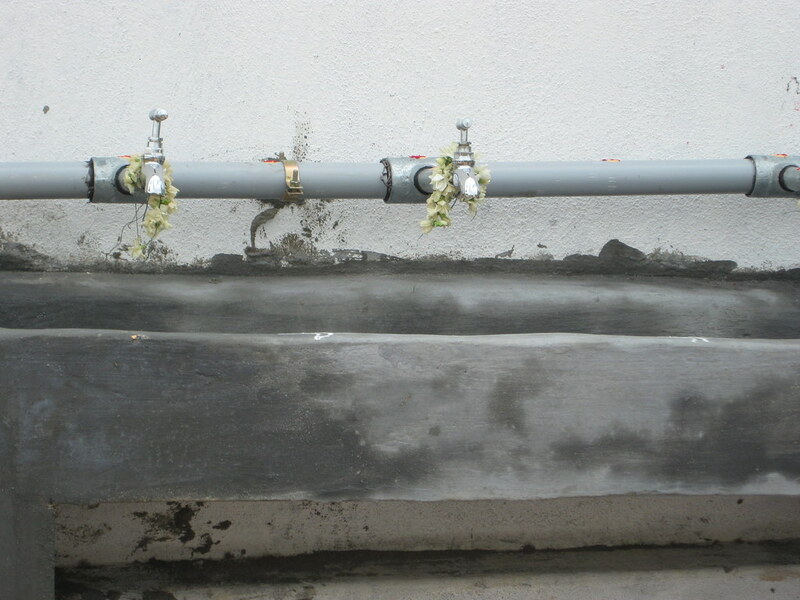 Currently the staff purchases water from the outside which is not sufficient for all the children and at same time the school administration is spending more money to buy drinking water everyday. 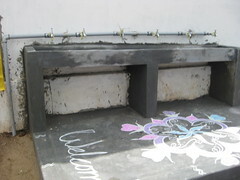 Sometimes they collect water from the nearby open well and use it for drinking. 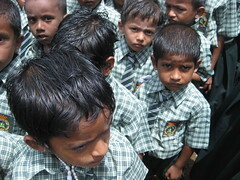 The children fall sick often when they consume the open well water, and in some other situations children move to the bus stands crossing the main road to the hotels to drink water. They are very much deprived of safe protected drinking water. 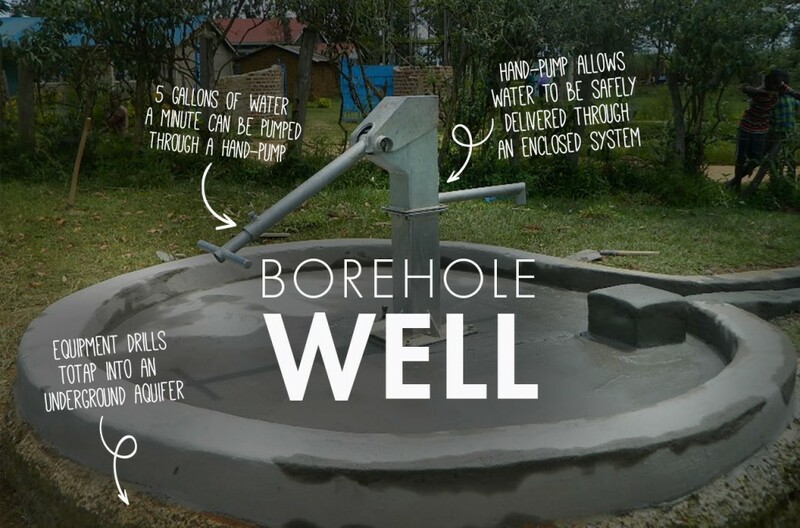 We have a proposal to help these poor children with safe and protected drinking water all through the day through installation of a deep bore well and hand pump. 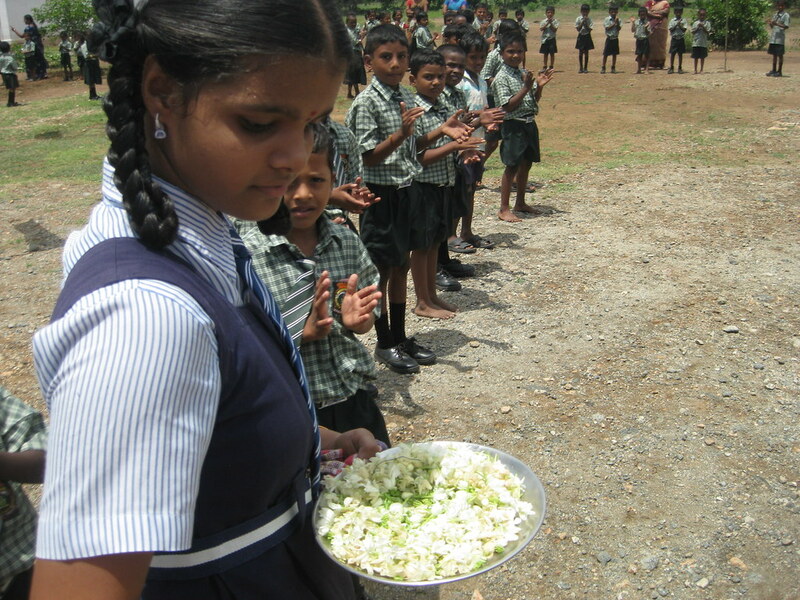 The biggest celebration was saved for last, arriving at this school of 400 children. 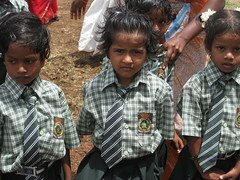 Both boys and girls aged three to fourteen neatly dressed in their uniforms lined from the road to the tap. 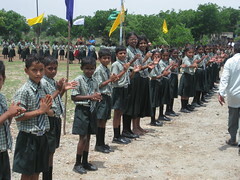 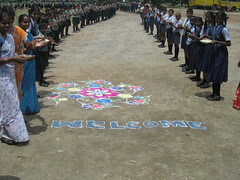 The children were chanting their thanks and the teachers showed equal appreciation. 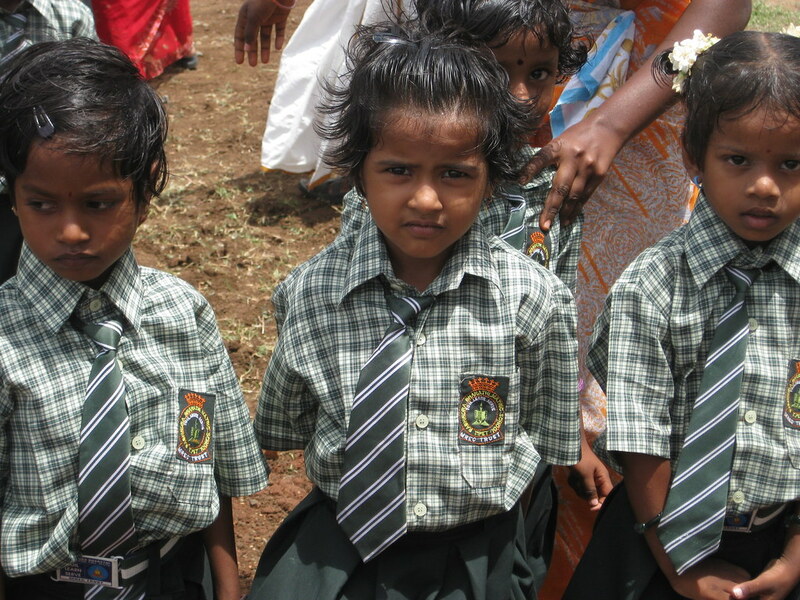 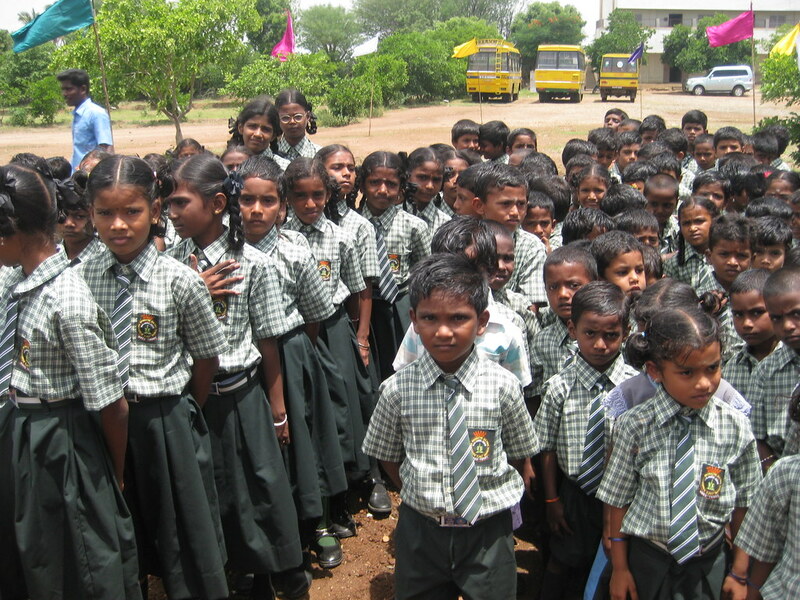 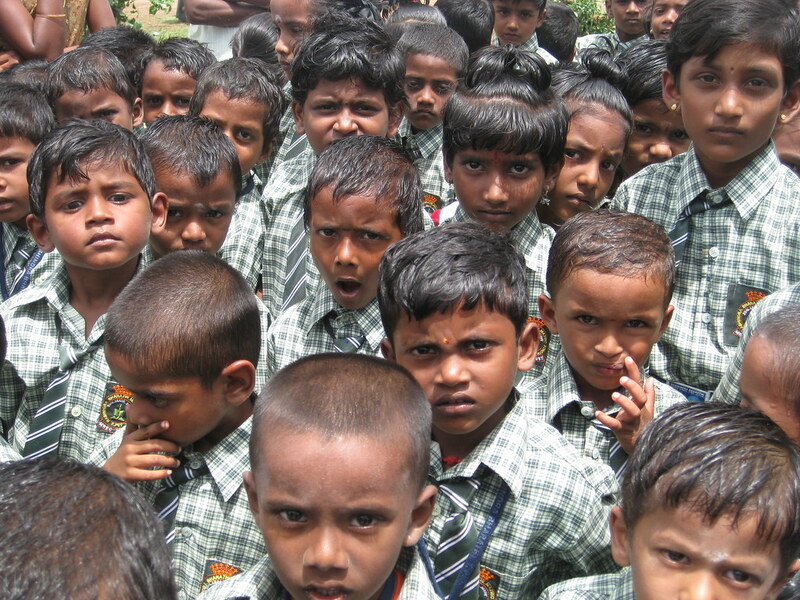 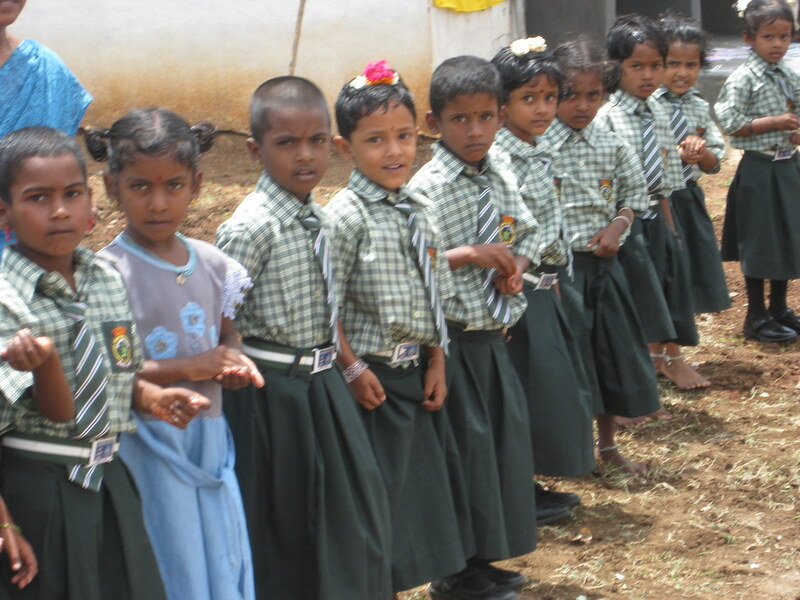 The school has done a lot of work to give their students an adequate learning environment. 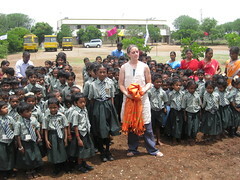 Instruction for all classes is in English and they classroom and playground facilities are nice. 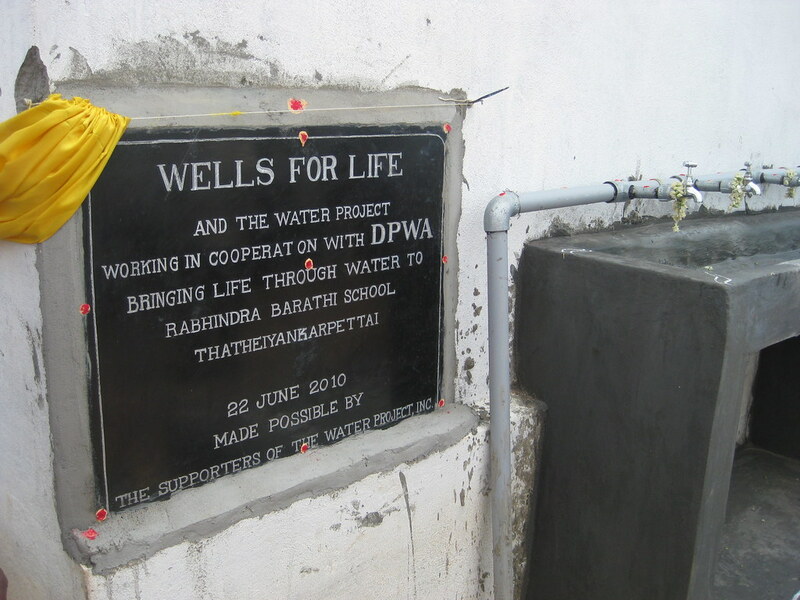 The thing they have been lacking is fresh drinking water, either spending an excessive amount of money on purchasing water or trying to retrieve water from local taps before they run dry. 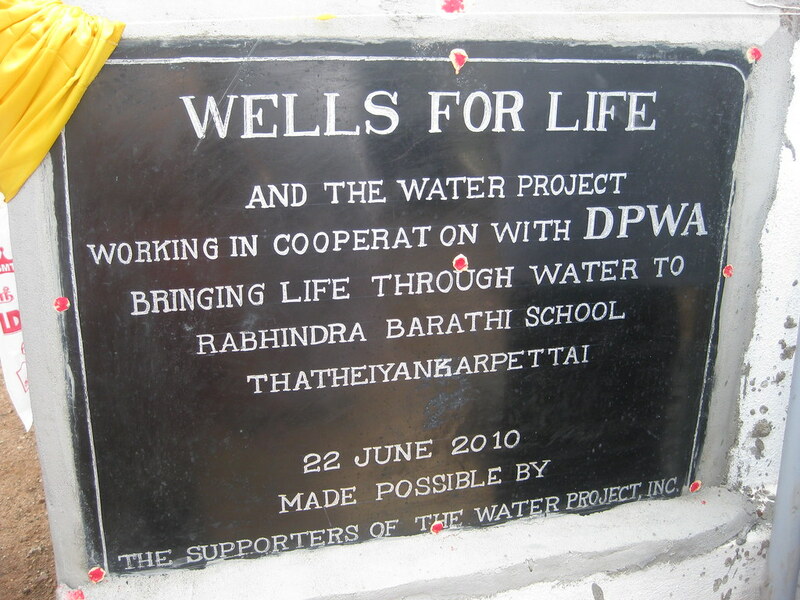 Thanks to several supporters of The Water Project, these students can concentrate on their studies and enjoy clean drinking water from the school tap. 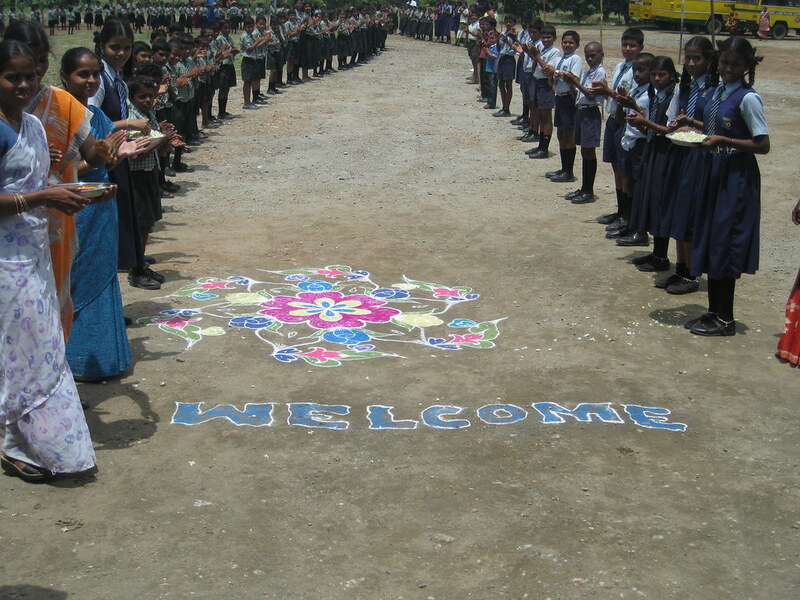 The smiles on those 400 faces was enough to see how much they appreciate this gift and it’s certain that it won’t be forgotten.